A screen capture from a League of Conservation Voters ad targeting Rep. Greg Gianforte, March 14, 2018. A new ad by the League of Conservation Voters launched on Wednesday against Congressman Greg Gianforte is the first significant outside spending in the race for Montana's U.S. House seat. 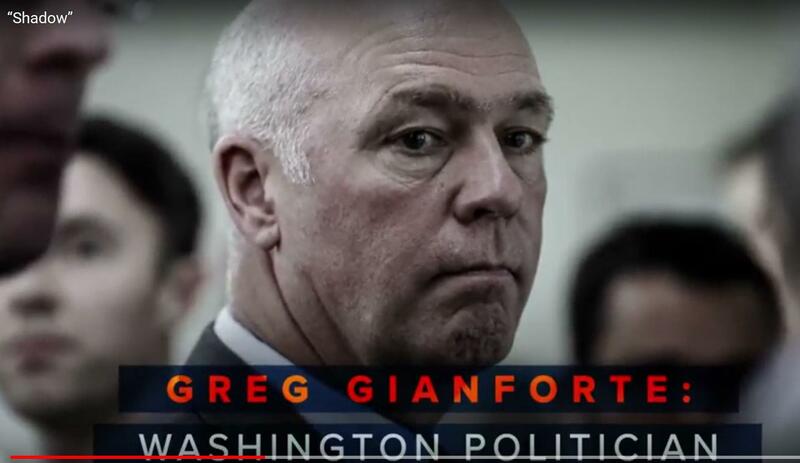 A video ad repeatedly criticizes the Republican for "attacking" and "assaulting" public lands since he's been in office, a veiled reference to Gianforte's attack on a reporter last year. "Somebody's attacking our way of life and assaulting our public lands and national monuments. It's Washington politician Greg Gianforte," the ad says. The conservation group says that they are spending $244,000 on ads through April. Eight candidates, including six Democrats, are vying for the chance to unseat Gianforte this fall. On the eve of a special election last May, Gianforte knocked a reporter to the ground, and later pleaded guilty to a misdemeanor assault charge. The League of Conservation Voters officials insist the ad campaign is not about Gianforte's re-election, but about bills pending in Congress. The ad will run on video and radio streaming services, along with news and social media websites. And, users of the mapping app Waze will receive an anti-Gianforte pop-up ad when they are traveling near certain public lands in Montana, and near Gianforte's district offices. Stay energized. Don’t get complacent. Those messages were delivered at two large political gatherings in Montana. For the first time in more than a decade, Green Party candidates will appear on Montana’s ballots for Congress this fall. When the state’s candidate filing deadline passed at five o'clock this evening, three Green Party candidates joined the crowded field of Democrats, Republicans and Libertarians seeking Montana seats in the U.S. House and Senate. 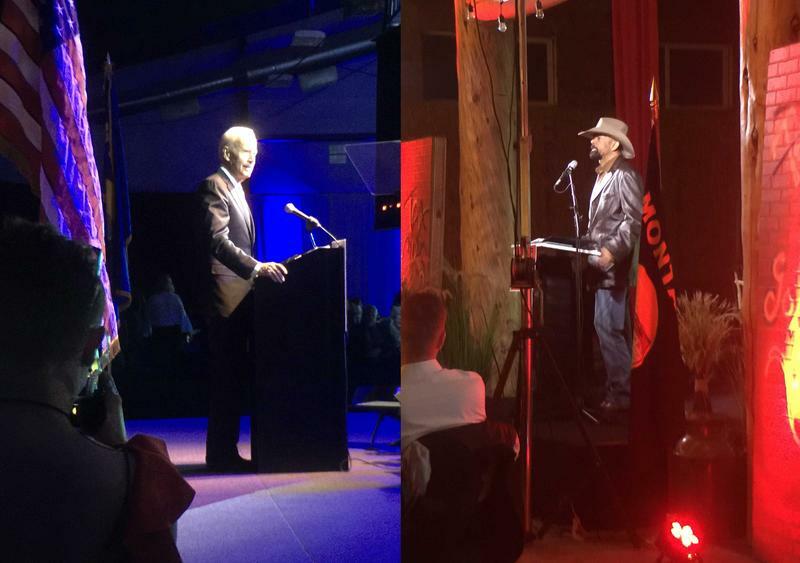 Flathead County Republicans hosted a controversial speaker at a fundraiser in Bigfork this weekend, and barred all but one news outlet from covering the event. Controversial wilderness and banking bills rile Montana's House and Senate elections; support — or lack of — for single payer health care could play a central role in the House Democratic primary; a new online poll shows President Trump remains much more popular in Montana than in the rest of the country; and pleas for campaign donations are ratcheting up as the June primary gets closer. 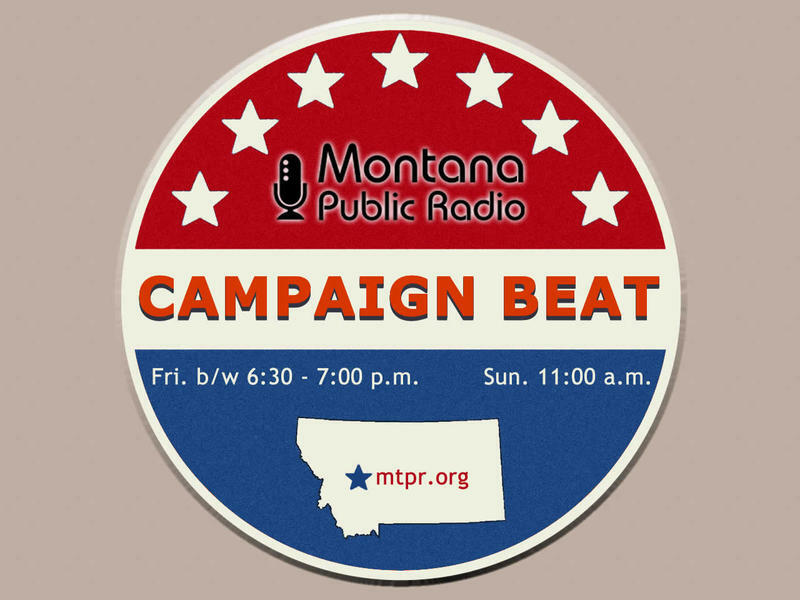 Sally Mauk, Chuck Johnson and Rob Saldin discuss these stories and more, on this episode of "Campaign Beat." Listen in now.